Riding a trained horse or horses makes it possible for riders to become skilled riders and then skilled trainers if they wish. If horses could talk they could teach in their own right and riding instructors and trainers would be obsolete. A lot of misunderstandings between horses and mankind would certainly be eliminated if horses could talk. You can go to the world’s best Instructors but to be able to ride and train horses to do flying changes, passage, pirouettes, lateral movements, reinback, even to work on the bit kindly, it is sensible to be riding a horse that has been trained to do these things. Trying to teach a horse an exercise or movement that the rider has not had the opportunity to feel, let alone master, is exceedingly frustrating for both horse and rider, yet that is what riders constantly try to do in Australia. What is the answer? Riding a very well schooled horse is the pleasurable and efficient way to learn and develop your riding skills and avoid frustration for both horse and rider. This means either going to a school where you can ride a trained horse or horses, or buying a horse that has already been schooled (School Master, Professeur) or getting help with training your horse. Barrie & Sarita studied in Europe in the 1980's to develop their own skills so they could train and ride Grand Prix, Haute Ecole and Airs above the ground. We only train riders that can already ride and all lessons are private. Barrie is an ‘A’ Level Dressage Judge and Judge Educator and coaches a number of successful competition riders. Barrie trains horses and riders for dressage competition from Preliminary to Grand Prix level and for the show ring. Our aim is to help you enjoy the journey while realising your goals! Private lessons are the ideal way to learn, being the quickest and best way to progress - totally Rolls Royce for the student. This avoids the undesirable distractions caused when there are other riders and horses, often at different levels, to be dealt with by both you, the horse and your instructor in group lessons. Choose light, responsive and charitable horses when choosing a riding centre or buying a horse. If you are a beginner, lunge lessons are unquestionably the safest and quickest way to develop a better seat, balance and coordination. Lunge lessons also produce the most rapid progress as the beginner rider can learn to harmonise their movements to those of the horse while leaving the control of the horse to the instructor in the lesson. This is certainly more pleasant for the horse as well as the rider. If you are a beginner we encourage you to book at a riding school where you can learn on the lunge but make sure when enquiring the horse is a horse schooled for lunge lessons. Barrie and Sarita learnt many things watching and filming from galleries throughout Europe, so they encourage riders to video their training sessions. The rider is in the worst seat in the house in many ways as they can't see what is going on under them, such as tracking up, topline, lateral frame, facial expressions of the horse, etc. etc. so eyes on the ground and mirrors are essential. By constantly revising how they explain, demonstrate, and instruct Barrie and Sarita strive to help riders understand what they are trying to achieve and then put that knowledge into practice. It is so important that training is straight forward, logical, with attention to detail and that learning is enjoyable. Riders wanting to develop their theoretical knowledge and practical skills, so they become a thinking skilled rider, are encouraged to buy or ride a trained horse to develop their feel, co-ordination, balance, timing, rhythm, position and pressures. Our goal is to help horses and riders reach their full potential while enjoying the journey. Barrie & Sarita school horses using classical exercises that supple, strengthen and educate them by developing their natural paces and abilities, thus improving transitions, suspension, collection, extensions and self-carriage. 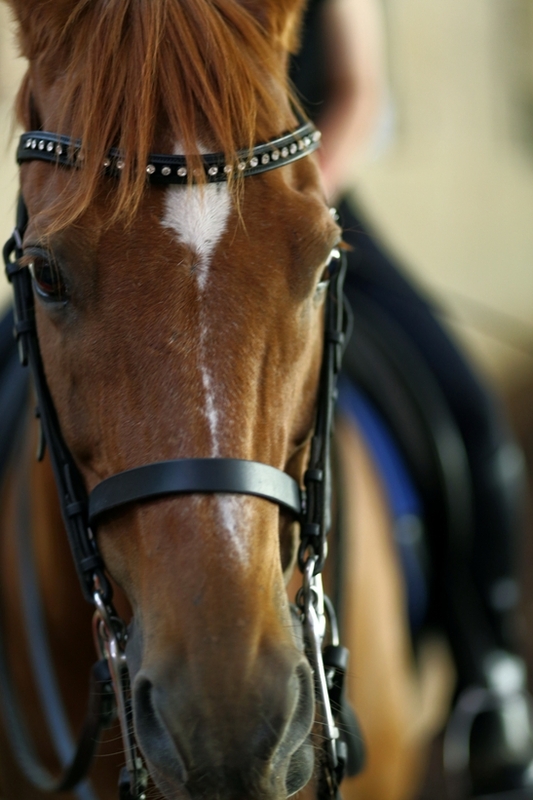 The result is a beautifully trained, obedient, comfortable and safe horse that is a pleasure to own and ride. Buying a horse: That can be and usually is a minefield, and Barrie and Sarita spend a lot of time advising prospective purchasers on line, over the phone and on site. If all goes to plan Barrie and Sarita then do a pre-purchase assessment. Depending on the age and level of training of the horse the assessment may include being led up, lunged, ridden, driven, so the horse's strengths, weaknesses, temperament and level of training can be assessed, and consequently whether the horse is suitable for the rider and/or purpose. 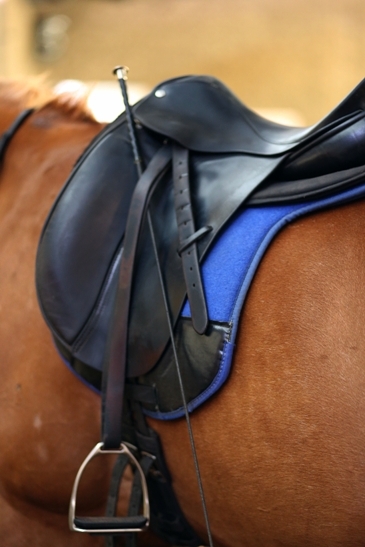 If appropriate at the time and requested, Barrie & Sarita, who fit hundreds of saddles, bridles - both snaffles and doubles, and other equipment each year, can also go through some or all of that at the time of assessment. Barrie & Sarita have been teaching and training horses, riders and Instructors since 1974. Barrie & Sarita do their best to help riders become competent, and very importantly, caring horse people. If they can help you to ride more knowledgeably and skilfully so you get satisfaction and enjoyment from what you are doing, and the horses you ride get a better deal, then they have achieved what they set out to do every day of their lives.